barreled in-house for 30 days for your drinking pleasure - $10 all day, everyday! For over 15 years, Pacifica Seafood Restaurant has remained the desert's preferred spot to gather with friends and family. 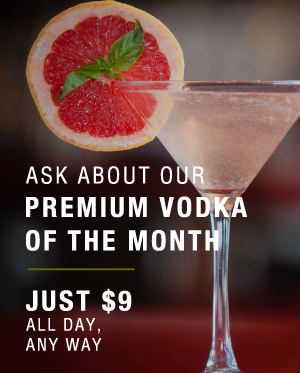 It's convenient location, beautiful dining room, bustling bar offering daily happy hour and nightly specials, and outdoor patio with mountain views, provide the perfect dining destination for every occasion. 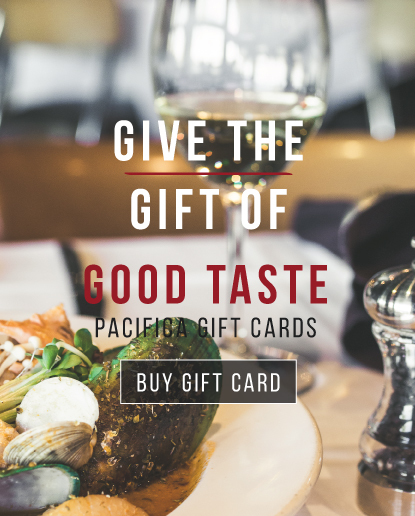 Come see why Pacifica Seafood Restaurant is celebrated year round for its cuisine, setting, warmth, hospitality, and service. We welcome you to be our guest.